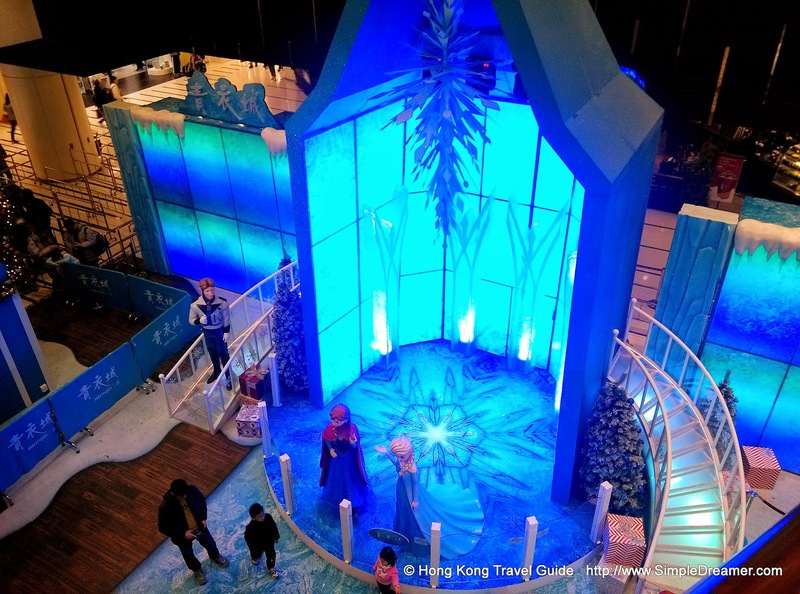 Queen Elsa from Disney's motion picture Frozen is at Maritime Square. 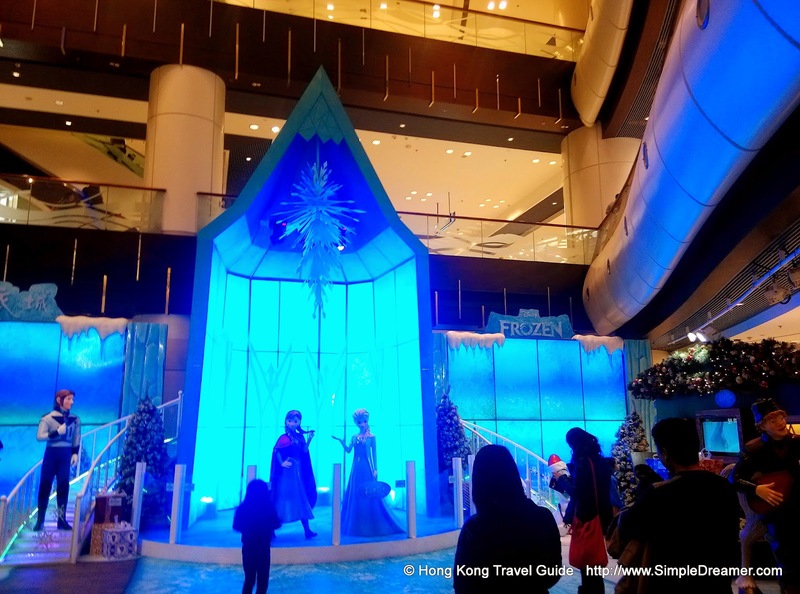 Standing in front of her ice palace with Anna, Elsa is singing "Let it Go" to celebrate Christmas with thousands of fans in Hong Kong. 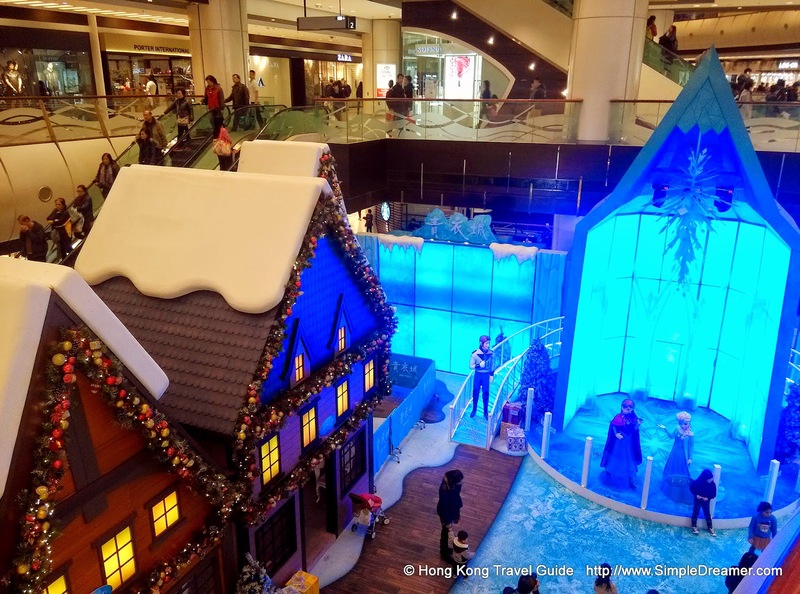 It is one amazing scene to see hundreds and hundreds of parents queue up together with their young kids for their photo opportunity with two human-sized plastic dolls. The 'best' part of all, parents have to listen to theme song "Let it Go" looping over and over again. 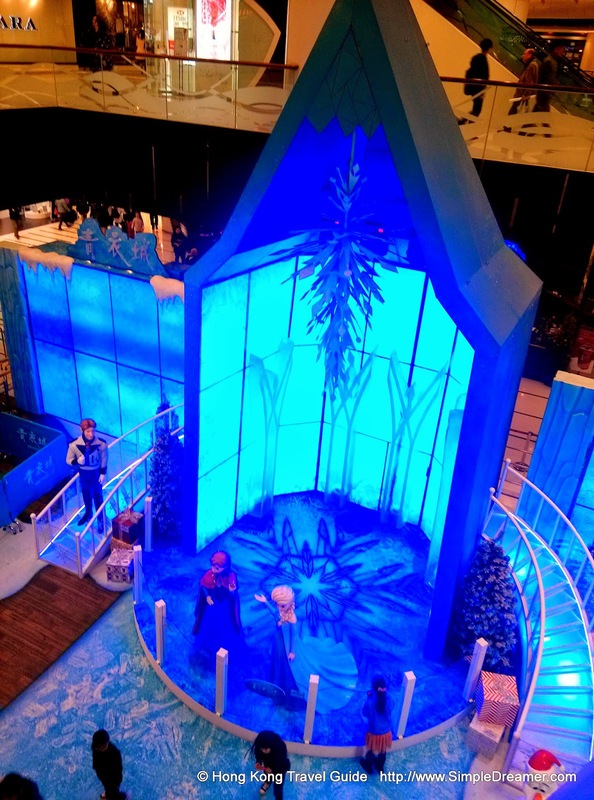 Having said that, it is without a doubt that Elsa is extremely popular in 2014. 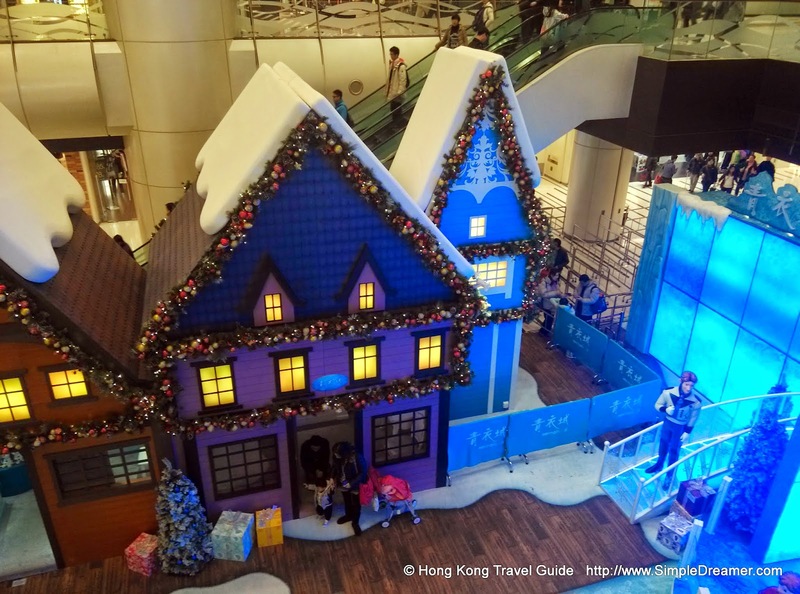 One can often see young girls dress up as Elsa in her signature blue dress in Hong Kong. She is probably one of the most popular Disney Characters in years!